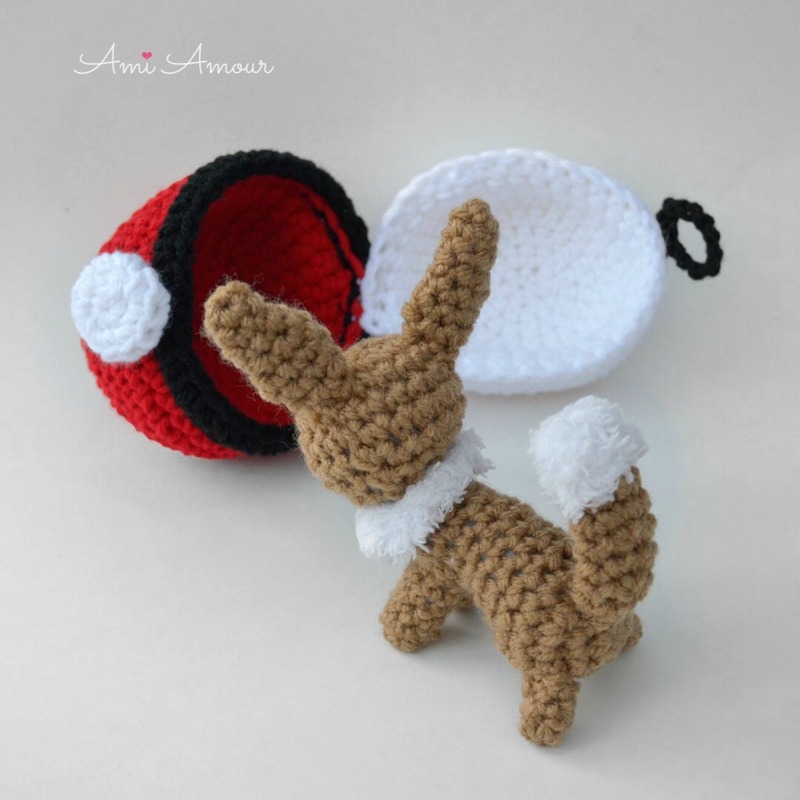 Here’s a chibi Eevee amigurumi so foxy and cute! 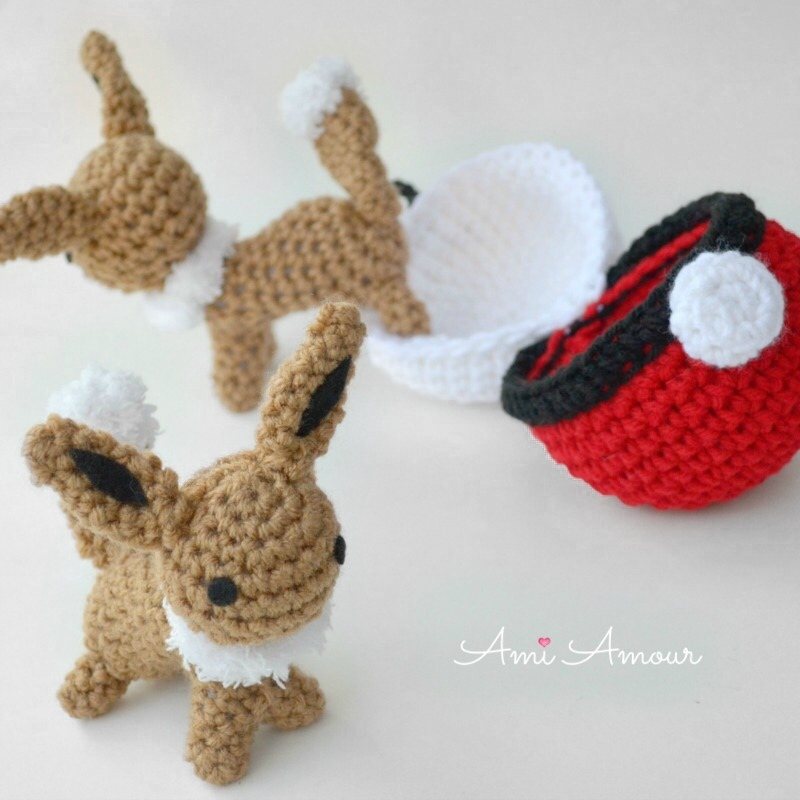 You guys have been asking me for this Pokemon crochet pattern so I finally got a chance to write it up. 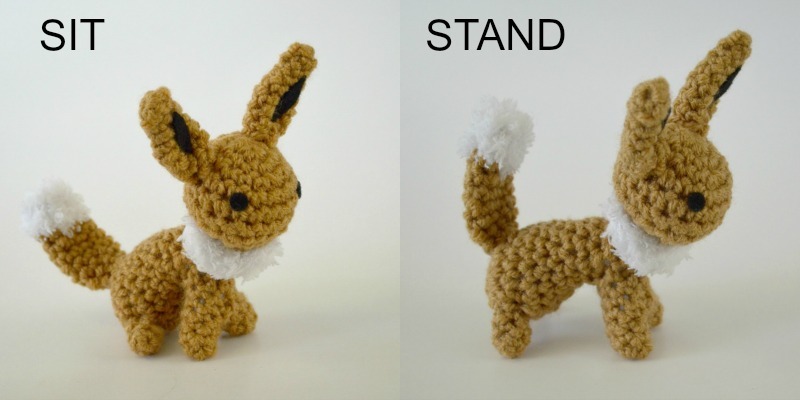 What’s unique about the design of Eevee Amigurumi is that she has the ability to both sit or stand! She can sit on her behind or stand on all fours. It makes for some fun posing for pictures. 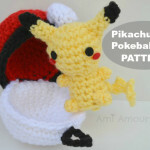 And of course you can also crochet a Pokeball Pod for her as well. 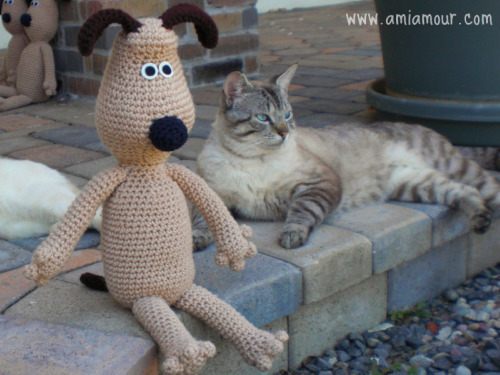 She’s created from a warm brown acrylic worsted weight yarn and fluffy white yarn. Her features include her pointy ears, a fluffy mane and tail. 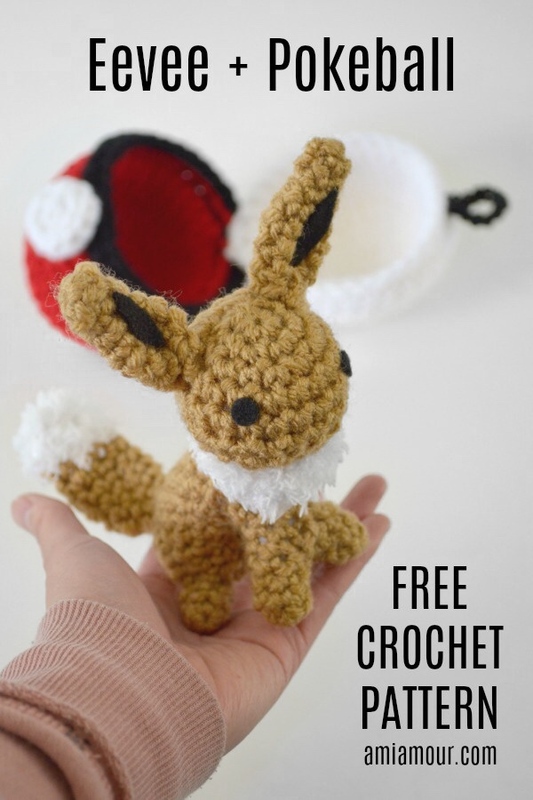 One day I think it’d be nice to try and crochet the whole crew of Eeveelution, but for now I hope you guys enjoy this cute Eevee! 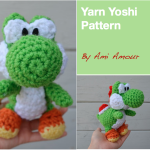 I have both the written pattern and the video tutorial below. 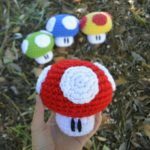 It’s part of my ongoing Gotta crochet ’em all! 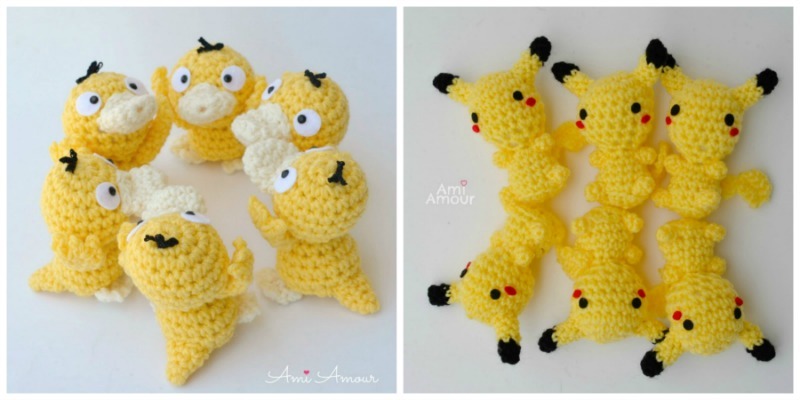 Pokemon amigurumi series. 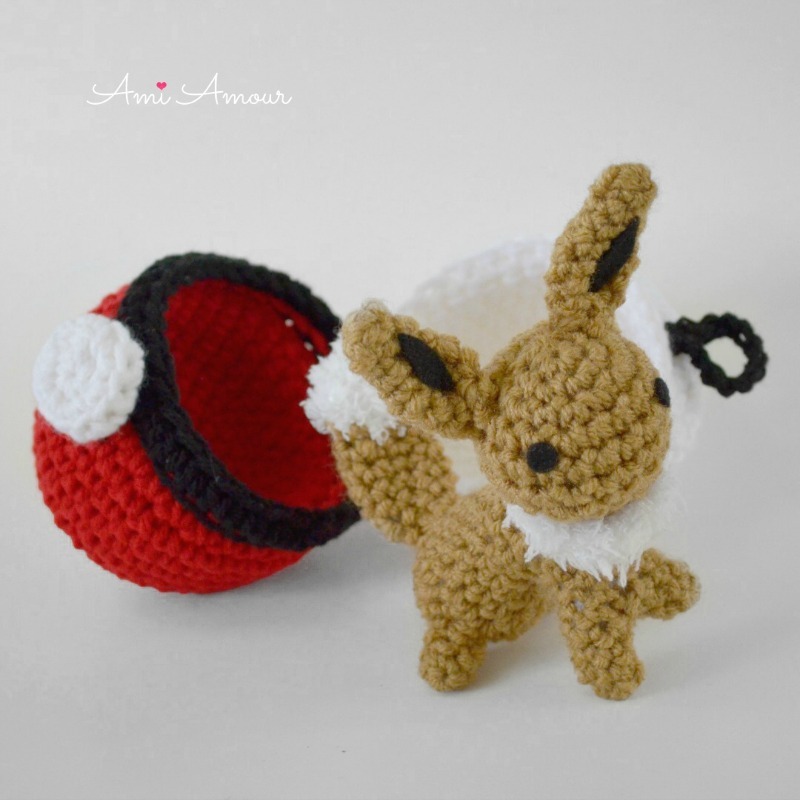 Be sure to catch them all! 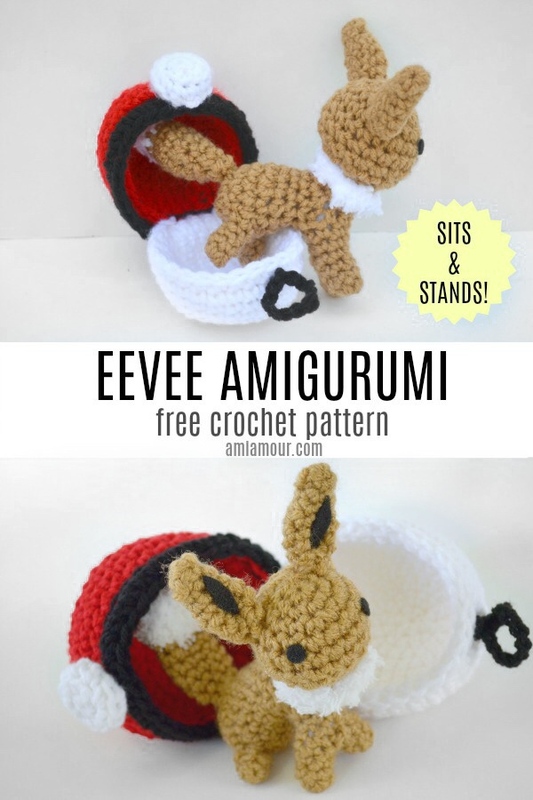 See Eevee Amigurumi in action and crochet along with me. Round 1: 5 sc into magic ring. Round 2-3: Sc in each st around – 5 sc. Round 4: 2 sc in next st, sc in next 4 st – 6 sc. Round 5: [2 sc in next st, sc in next 2 st] around – 8 sc. Round 6-8: Sc in each st around – 8 sc. Pinch ends closed on top of one another and sew closed. You should now have tapered ends on top of ear and bottom of ear (like a leaf). Cut a small leaf shape from black felt. Glue to middle of ear. Round 5-6: Sc in each st around – 20 sc. Round 8: [Sc2tog, sc in next st] around – 12 sc. Round 9: [Sc2tog, sc in next st] around – 8 sc. 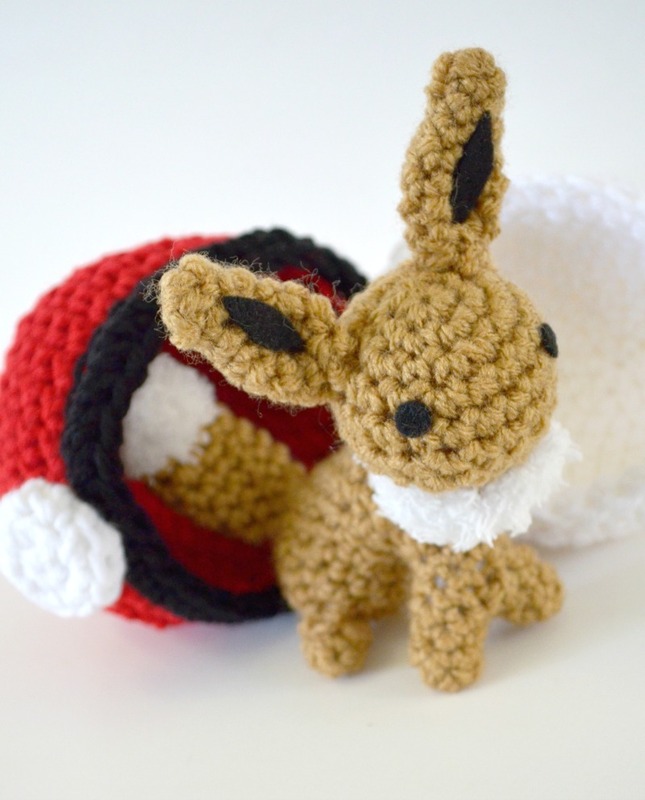 Round 10: With fluffy white yarn, in front loop only, 2 sc in each st around – 16 sc. Sl st to join to first st and fasten off. 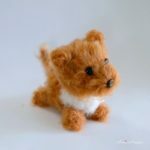 Cut also the warm brown yarn, leaving a long tail. 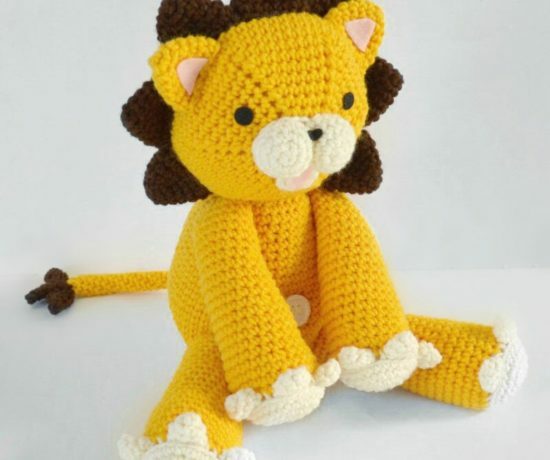 You will use this yarn tail to sew onto BODY. Fasten off. You have just created Front Leg A.
Repeat Rounds 1-4 once more to create Front Leg B. Do not fasten off! 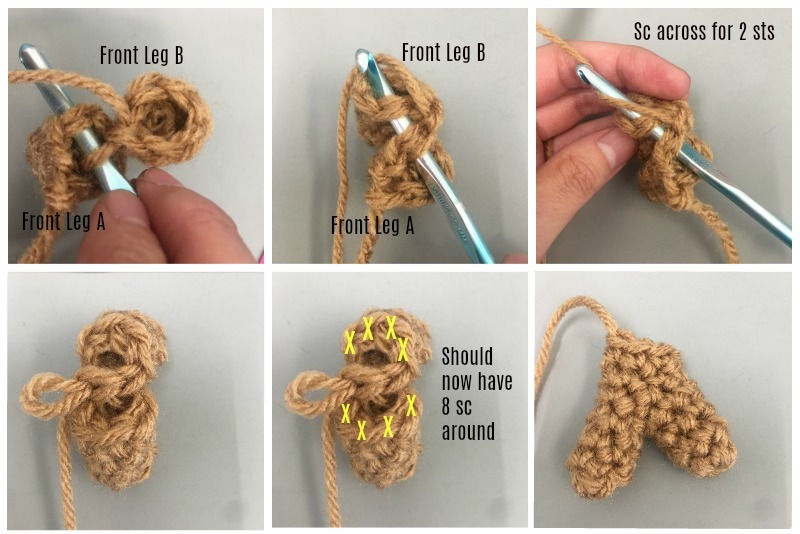 Join Front Leg A and Front Leg B together across 2 stitches by using sc. See photo tutorial below. You can also watch the video tutorial. Round 7: Sc in next 2 st, fasten off. Round 4: Sc in each st around – 18 sc. Round 5: [Sc2tog, sc in next st] 3 times, sc in next 9 st – 15 sc. Round 6: [Sc2tog, sc in next st] 2 times, sc in next 9 st – 13 sc. Round 7: Sc2tog 2 times, sc in next 9 st – 11 sc. Round 8: Sc2tog, sc in next 9 st – 10 sc. There should now be 28 sts around the BODY and FRONT LEG PAIR, not counting the joined stitches (see last photo). You will continue to work in the round of the BODY and FRONT LEG PAIR. Round 9: Sc in each st around – 12 sc. Round 10: [Sc2tog, sc in next 4 st] around – 10 sc. Round 11: [Sc2tog, sc in next 3 st] around – 8 sc. Round 12: Sc in each st around – 8 sc. Round 2-4: Sc in each st around – 5 sc. You do not need to stuff. 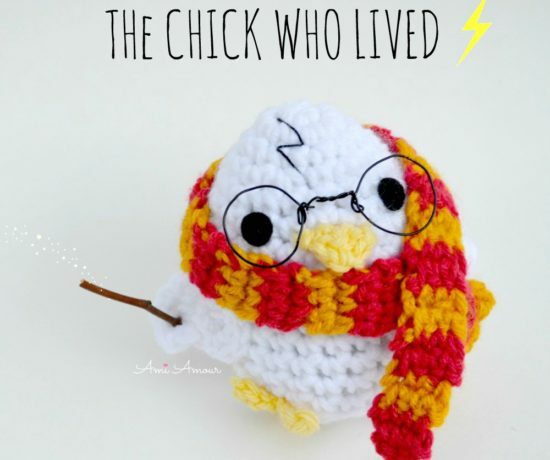 Round 1: With fluffy white yarn, Ch 2, 4 sc into first ch – 4 sc. Round 2: [2 sc in next st, sc in next st] around – 6 sc. 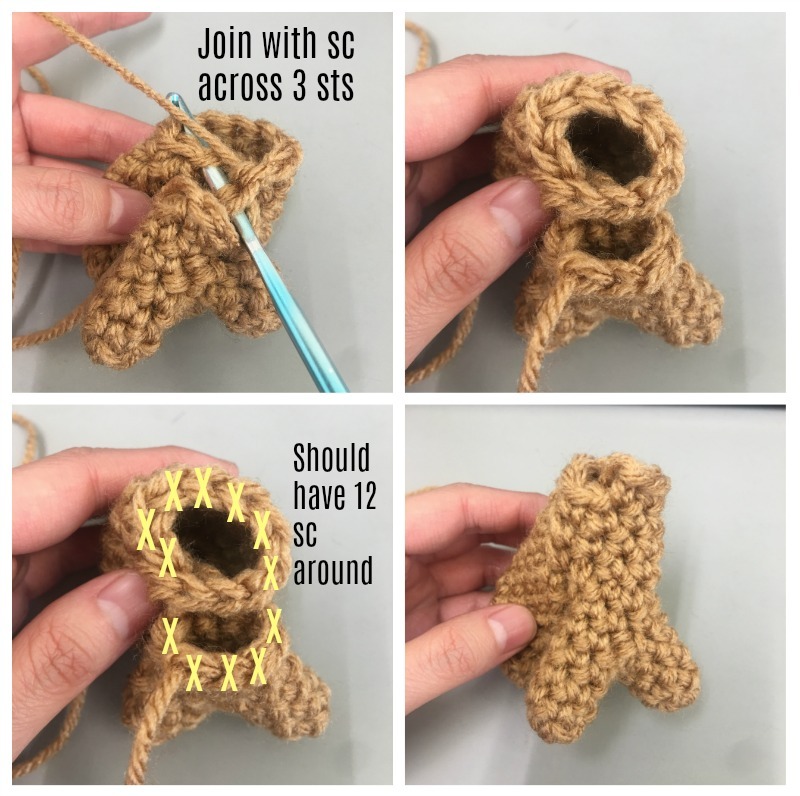 Round 3: With warm brown yarn, [2 sc in next st, sc in next 2 st] around – 8 sc. Round 4: [2 sc in next st, sc in next 3 st] around – 10 sc. Round 6: Sc2tog 2 times, sc in next 6 st – 8 sc. Round 8: Sc2tog 2 times, sc in next 4 st – 6 sc. Round 9: [Sc2tog, sc in next st] around – 4 sc. 1. Stuff the Head and Body. 2. Sew Head onto Body. 3. Sew Hind Legs to Back Bottom of Body. 4. Cut 2 small circles form black felt and glue on with Fabri-tac to the head for the eyes. 5. 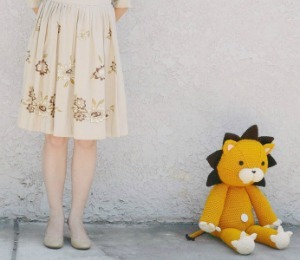 Sew on Tail to Back of Body. 6. Sew on Ears to Head. 7. Hide and cut all ends. 8. 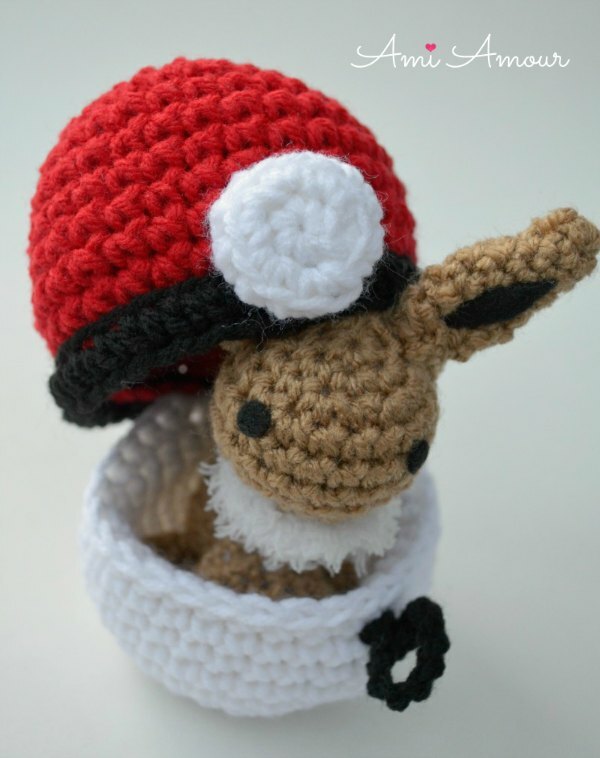 Make a Pokeball Pod for your Eevee so it has a nice home to rest in.